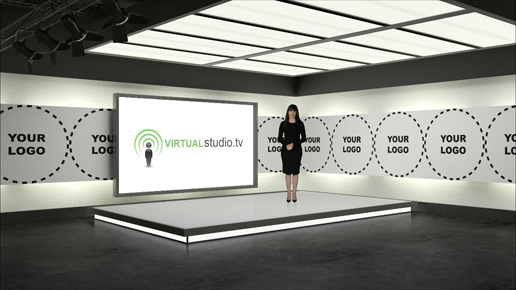 Whether you’re launching a news station, starting a corporate TV channel, or looking for a branded background for your Internet Videos, our team of virtual set designers can create stunning, unique and highly professional 3D studios for your project. Using a virtual set not only creates consistency between your videos, it also gives a slick, impressive look and feel to your broadcast. And it’s a great option for companies that want an elegant studio setting, without the associated costs. Virtual reality frees you up completely, so you can have exactly the studio you want, no matter what your ‘real life’ space restrictions might be. Starting from scratch, we’ll work with you to create the perfect studio for your brand. You could opt for a classic news set with views over London or New York, a chat show style stage with natural light and super-realistic brickwork, or even a conceptual, futuristic space that breaks all the rules of architecture. The choice is yours. All our virtual studios are designed to work with TriCaster editing systems. Once you’ve commissioned a bespoke studio, this will be exclusively available to you to use in as many videos as you like - whether you’re making these in our Mobile Studio, or on a TriCaster of your own. If you’re using your own TriCaster, we can even install the virtual studio for you and provide the training you need to get you started. 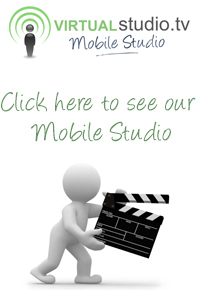 To talk to the team about designing a bespoke virtual studio, please contact us today.